Gentle Readers, though The Practical Cook has covered this territory before, some kitchen tools are versatile enough to warrant another mention. I deeply love my kitchen shears, in spite of, or perhaps because of their inherent ability to cut through anything. Here are three applications for which I’ve used my trusty J.A. Henckels shears in recent days. 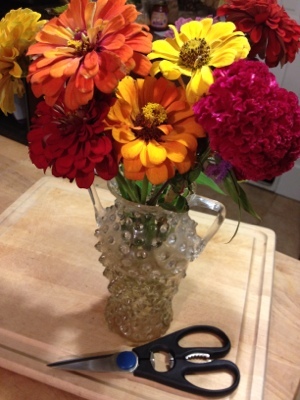 Kitchen Shears make short work of flower stems. 1. Trimming Flowers. Cutting those woody stems at an angle is not a job for the faint of heart or the dull of blade. And the results are so lovely. 2. 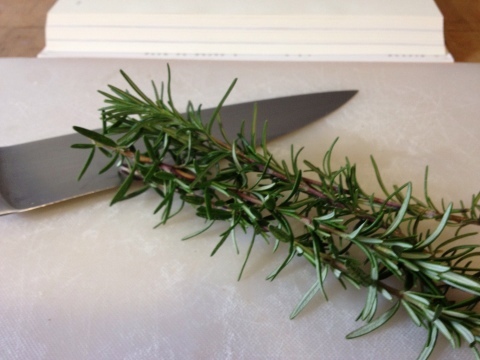 Cutting Herbs. After doing no small amount of damage to my ever-expanding rosemary bush by breaking of a stem or two, I’ve taken to using scissors. Much better results. Most recently in this fantastic pasta dish. 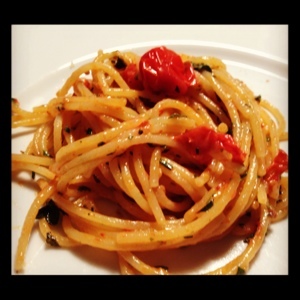 Herby pasta with tomatoes. A summer delight! 3. Sizing Parchment Paper. 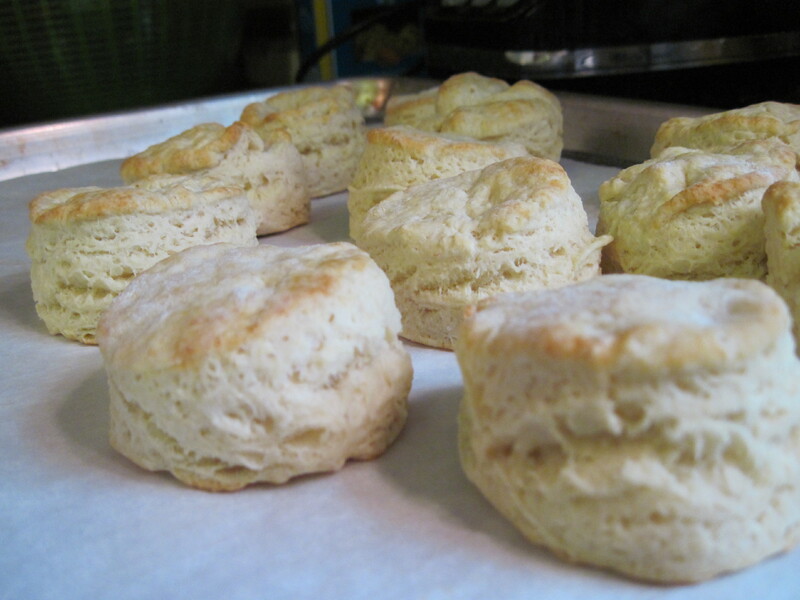 Biscuits are happier on parchment paper, and I’m happier when the paper doesn’t hang over the edge and become a fiery cinder . Because I limit the use of the shears to all things kitchen, I keep them clean, sharp, and well away from small, unsupervised hands. I’m not ready for the American Dolls to sport Mohawks, even if NASA has made them fashionable. How do you use your kitchen shears? Post a comment below, or Tweet! Up next, Simply Squash. Winter meets summer. This hot weather hasn’t slowed down the incoming veggies and fruits one bit. The Practical Cook is still waging a good fight with her overstuffed fridge, and there are some indispensable weapons in this war. So bring on the kitchen tool talk. 1. Colanders of All Sizes. Shown here is my small colander, the smallest in my trinity. 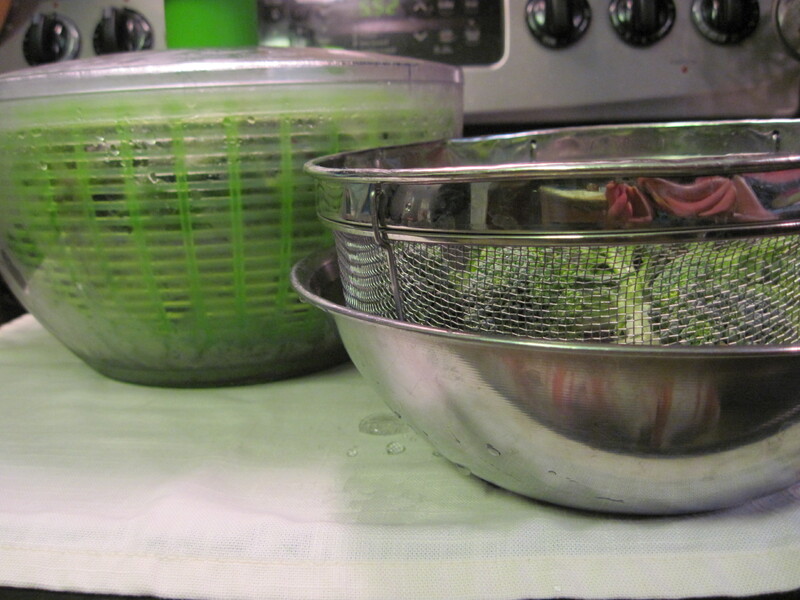 Perfect for a quick wash of fruits and veggies, and shown here soaking broccoli. I use this colander every day, many times a day. 2. Salad Spinner. I love my OXO Salad Spinner. It’s reliable, large capacity, and easy enough for the Practical Cooks Junior to use, which they have been doing since age 2. Build enough time in to let your greens or lettuces soak in cold for a bit. It always makes cleanup faster. Spin your veggies dry, and store them in there in the fridge for quick use. 3. Medium Metal Bowl. Shown here as an impromptu basin for the colander, this is also my go-to for mixing burgers, salmon patties, etc. Toss it in the dishwasher, clean again. Simple, inexpensive, perfect. 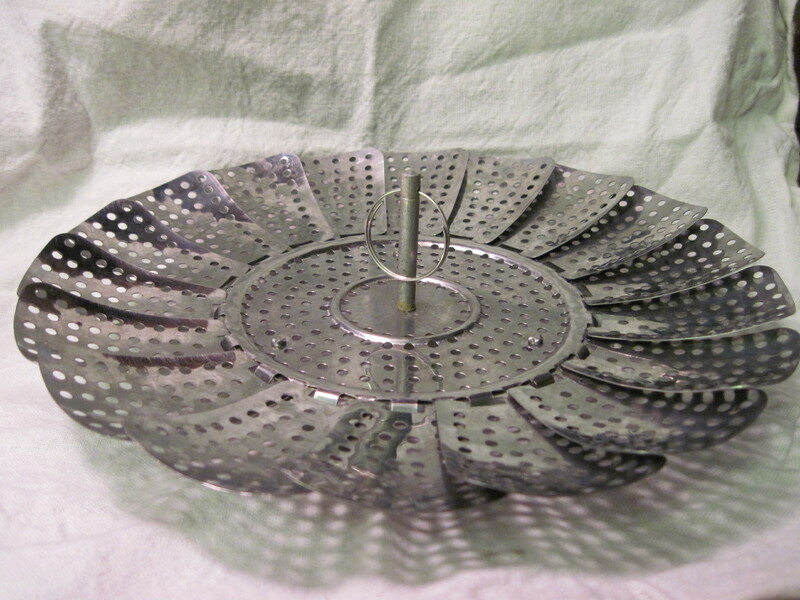 Are you a colander fan? Post a comment here, or Tweet! 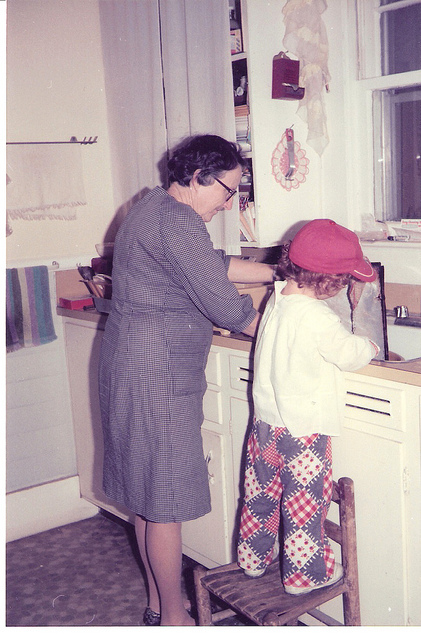 Gentle readers, the Practical Cook hopes you never do the math to see how many kitchen things she owns and adores. Let it suffice to say that 3 new things could appear for weeks on end. This week, the focus will be thematic around spring or Easter food. 1. 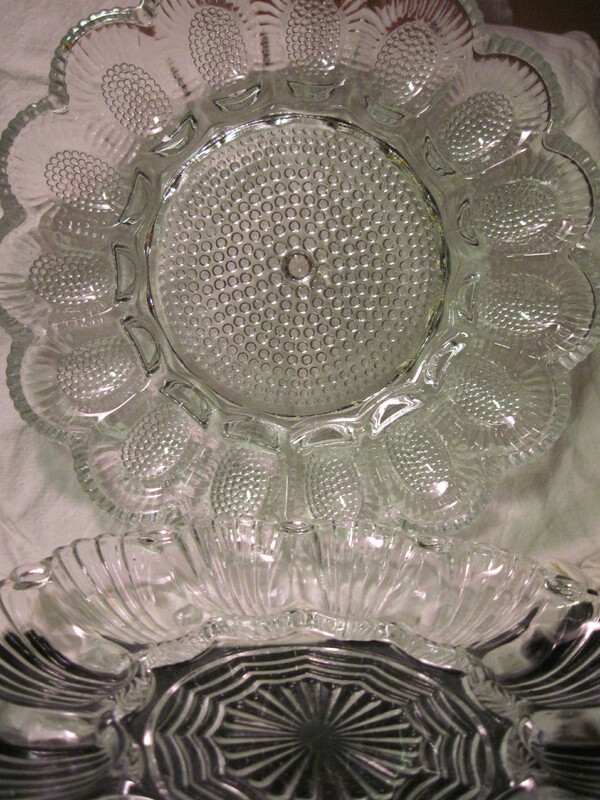 Deviled egg plate. If you’re Southern, you own one, probably inherited. If you’re the Practical Cook, you own two, one inherited and one on semi-permanent loan (let me know if you need that back Illegally Cooking). 2. 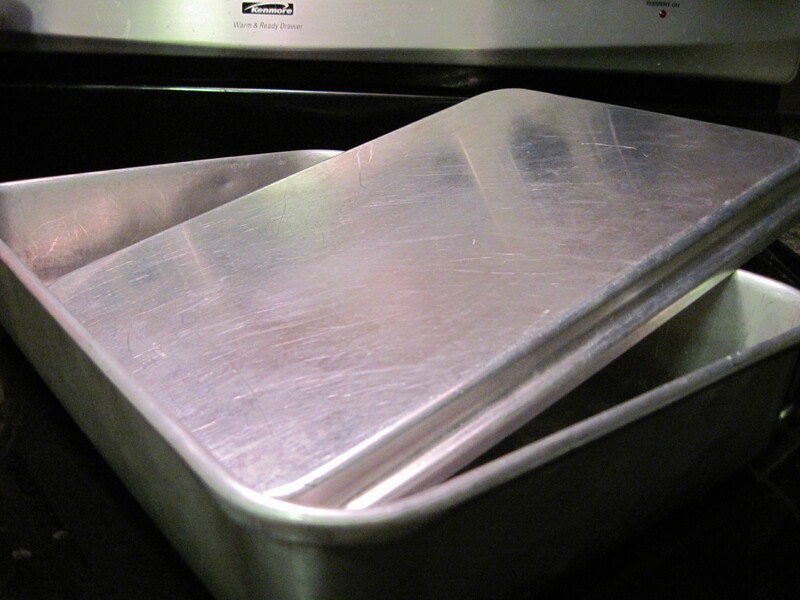 13-by-9 cake pan with a metal lid. Perfect for creating those Easter or spring cakes that inevitably involve fruit, coconut, Cool Whip, or a combination thereof. If you can decorate it with jellybeans that leave a mild discoloration on the coconut, bonus. Accept no imitations, plastic lids will break. Buy the metal one and you’ll have it forever. The Practical Cook’s Mom and TPC have matching ones, and they’ve traded back and forth innumerable times over the years. Someone delivers something in one and leaves with the other. But you’re never without one. 3. Collapsible steamer basket. Over the years, I’ve used many contraptions to accomplish the same thing, but this is the one that’s stuck. It does the job, it was cheap, and it folds up neatly. Perfect for steaming asparagus, new potatoes, or sweet potatoes (for sweet potato salad).